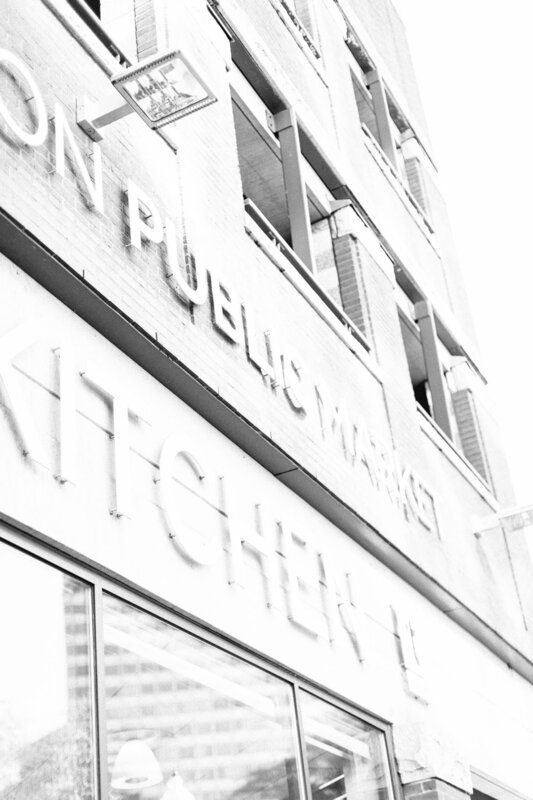 If you’re a local food advocate, on your first visit to the Boston Public Market you'll feel like a kid in a candy store. 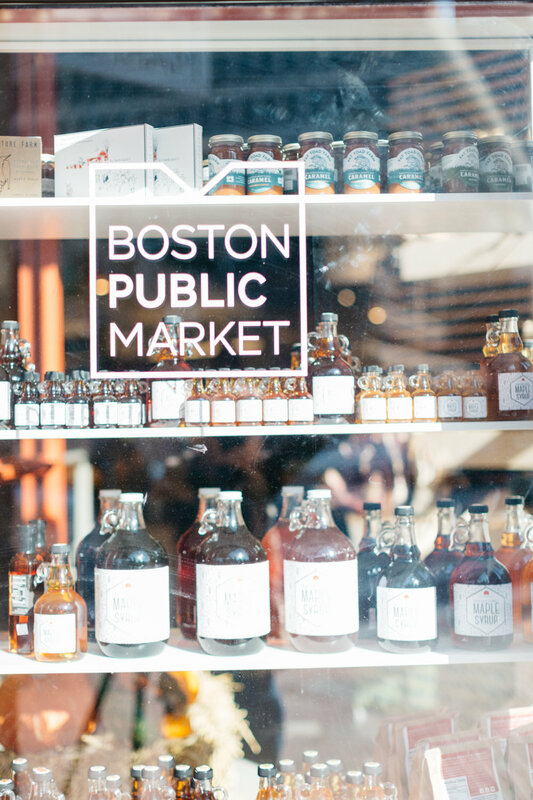 Every conceivable food product grown or produced in Massachusetts is there, lined up in an arcade of brightly-lit and colorful stands, like a cross between your favorite farm stand and nearby Quincy Market. There’s farm produce, meat and fish, cheeses, prepared foods to go, snacks and sundries, wine, beer and spirits, along with flowers, coffee, gifts and even a demonstration kitchen where you can learn to cook with all this bounty. It’s all local, and it's a sight to behold. From conception to opening, it took 19 years. 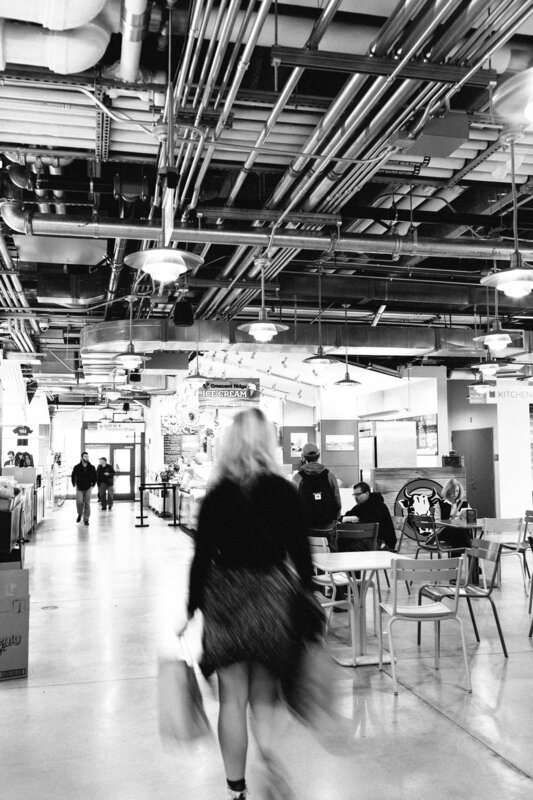 It was a massive undertaking; city and state agencies, as well as private companies and non-profits, coordinated to fund, design, and build out the space. Finally, in 2011, the pieces came together: approvals, location and finances were finalized and the organization went full-steam ahead. Vendors were chosen with strict hyper-local criteria. Boston Bounty Bucks and SNAP/EBT cards would be accepted. Ground breaking on the build-out of an unused parcel above the Haymarket T station took place in October 2014, and by July 2015 it was completed and opened to the public. Here are the portraits of the food artisans you’ll find at the BPM, as well as the products they sell. You’ll see familiar faces from your local farmers markets (we’ve profiled nearly all of these vendors in our pages), as well as newcomers to the Boston food community. Visit them early and often! Make your holiday table a local one, and keep your food dollars here in Massachusetts. Parking: Parcel 7 Garage. Entrance on Haymarket Square. $3.00 for 3 hours with validation. Go to the information booth with your parking ticket for stamp. Slices of fieldstone, in the form of coasters, bowls, and food slabs, are for sale by American Stonecraft. Since 2010, American Stonecraft has visited over 60 farms all over New England, including 18 in Massachusetts, collecting freshly unearthed stones in all sizes, then handcrafting them at their Lowell studio into farm-to-table serving pieces. Each piece varies in color, shape, and pattern with its farm origin labeled on its underside. Find a slab or bowl from your favorite local farm. Eat a hot pastrami, corned beef, or roasted turkey sandwich from Beantown Pastrami Company and travel back to Boston’s 1800s. The business that started as a food truck is now anchored at the market and creating sandwiches, including Reubens (corned beef and sauerkraut), Rachels (pastrami and coleslaw), and sides (baked beans, potato salad, and coleslaw.) They are all made the old-world way using local ingredients when possible. The bread is from Clear Flour Bread of Brookline, and the turkey is from Bob’s Turkey Farm in Lancaster. The beef and mustard are from Maine; the Swiss cheese is from New Hampshire. Soft drinks made by Ipswich Ale are available as well. Not all honey is the same, and at Boston Honey Company you can sample the difference between varieties, like wildflower and Japanese knotwood. The company raises its own honeybees, extracts the honey from the comb, and bottles it. The Massachusetts-made honeys include comb honey, wildflower honey infused with pollen and propolis, basswood honey, and clethra honey. The company uses the beeswax, pollen, and propolis to create candles, skin cream, lip balm, and honey soaps all made in Holliston, MA. Sample Vermont cheeses at Jasper Hill or indulge in grilled cheese, raclette, or mac ’n cheese made with a blend of melted cheeses (which you can also buy to take home.) Jasper Hill Farm produces its own cheeses and stores other area artisan cheeses at its onsite creamery and cheese caves in Vermont. The farm brings a collection of professionally-aged cheeses made by six small farms in the Northeast Kingdom along with a few other Vermont-made products to BPM. Chestnut Farms' BPM stall sells a variety of freshly cut meats, plus uncured deli ham, smoked turkey, breakfast sausage, hickory smoked bacon, pepperoni, and eggs. Located in Hardwick, the family-owned farm prides itself on raising livestock humanely, without antibiotics, and connecting the Boston community to the agriculture of Central MA. The farm’s cows, pigs, lamb, goats, chicken, and rabbits are naturally raised and feed on fresh pasture, local hay, nuts, bugs, and worms. 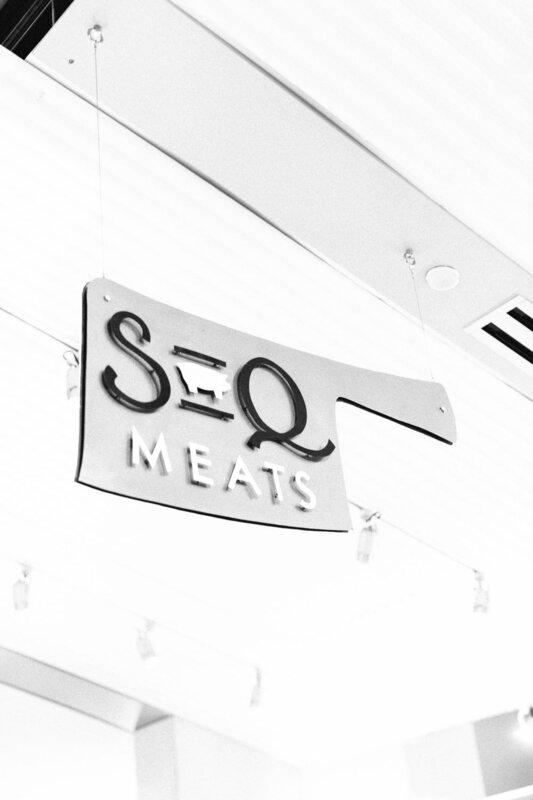 The market is also a pick-up location for their meat CSA. Where can you find local and fresh lettuce in Boston when there’s snow on the ground? At Corner Stalk Farms, lettuce is grown hydroponically in freight cars on an empty lot in East Boston. And not just lettuce. The farm also grows and sells basil, dill, mustard greens, and other herbs. Corner Stalk Farms has partnered with the kosher artisanal salt producer, Marblehead Salt Co., and with Spiker’s Shrubs of Amesbury, whose products are available at the stand. (See Edible Boston, Fall 2014). 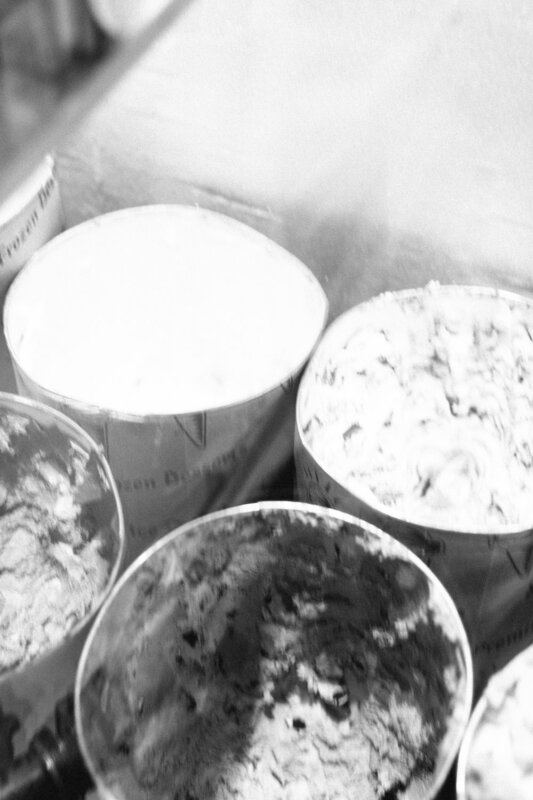 Boston loves ice cream, and BPM has one of the best in Crescent Ridge Dairy, with flavors like salted caramel chocolate pretzel, coconut almond bar, pumpkin, and black bear (red raspberry ice cream with chocolate raspberry truffles and chocolate chips.) Although its ice cream bar didn’t open in Sharon until 1968, the company has been bottling and delivering fresh milk to local residents since 1932. Crescent Ridge Dairy sells its milk in glass bottles and its 30 flavors of ice cream in cones and cups. 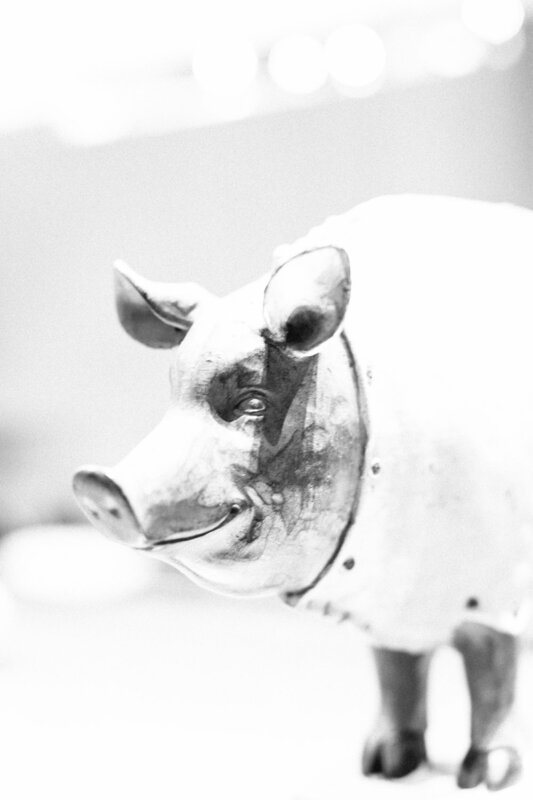 Whether you’re shopping for a picnic, a quick supper, or a gourmet meal, Daniele offers charcuterie made from hogs grown on New England family farms. 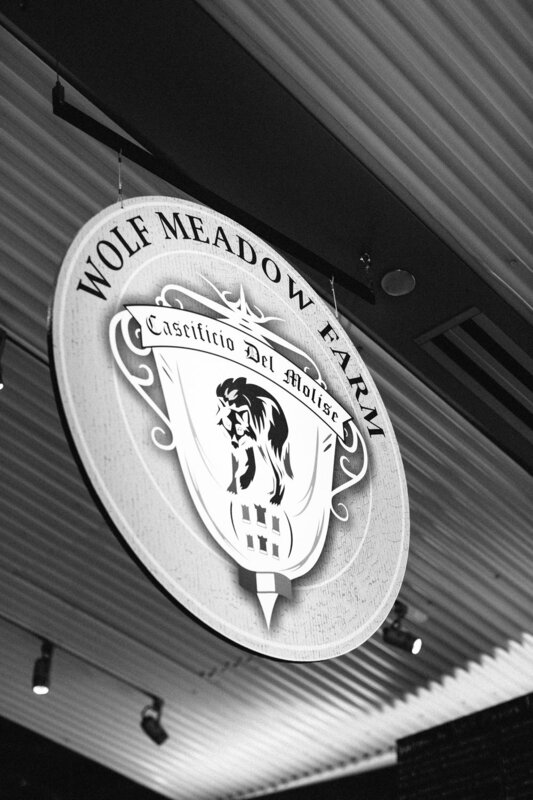 The third generation family-owned business has roots in Northern Italy and so do its recipes. Daniele dry-cures and seasons pork into prosciutto, sopressata, salame, capocollo, pancetta, mortadella, chorizo, panini, even pepper shooters (cherry peppers stuffed with prosciutto and provolone cheese), all at its facility in Rhode Island. Need a caffeine fix? 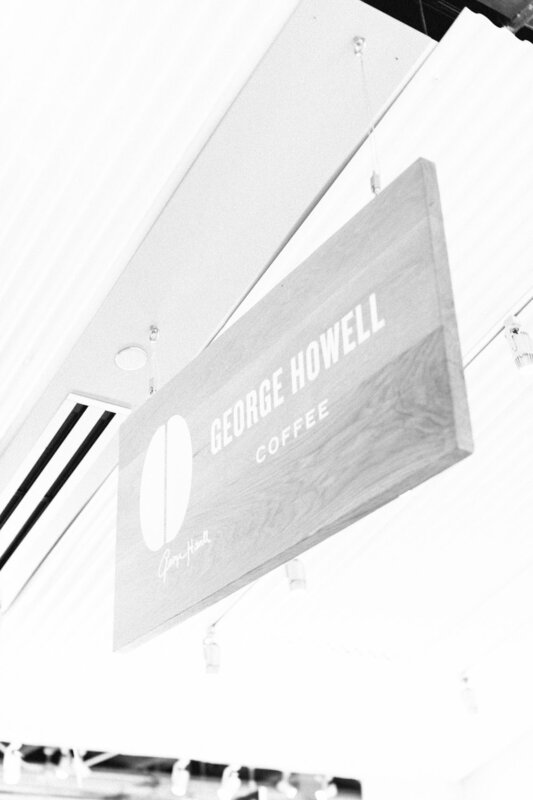 Try a hot or iced Taza mocha, a latte, or espresso at George Howell Coffee. 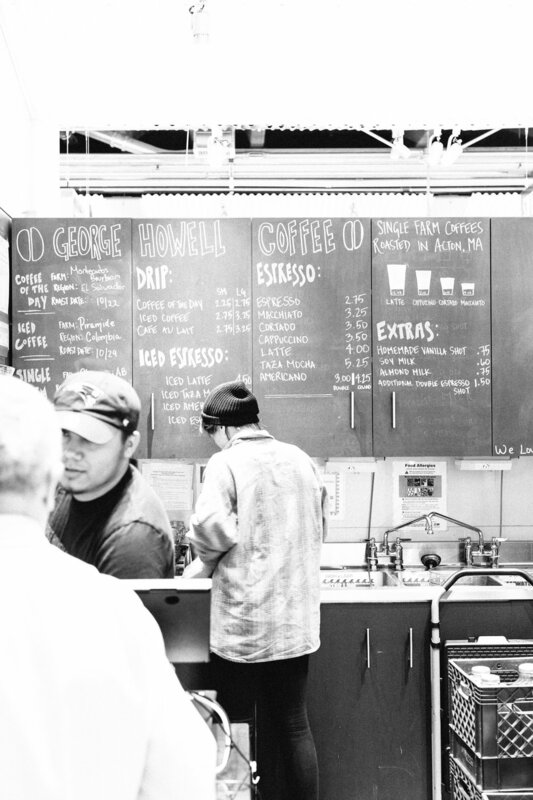 All coffee and espresso drinks are made with coffee beans roasted daily in small batches just 24 miles west of Boston. 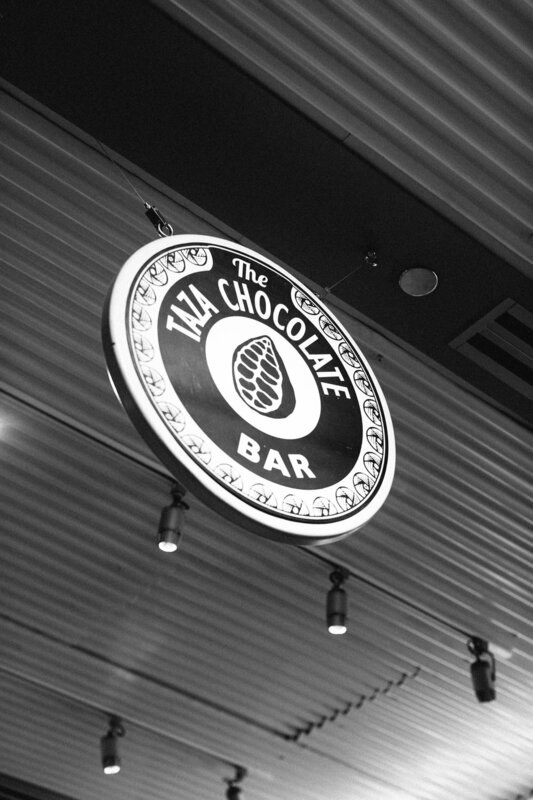 The company was founded in 2004, 10 years after George Howell sold his 24-cafe chain, The Coffee Connection, to Starbucks. Today the company works directly with farmers in coffee-producing areas around the world that share an interest in social responsibility and sustainability. Choose from an assortment of coffee beans to brew your own coffee at home. You don’t have to drive to Vermont to find farm products from over 20 Vermont producers. 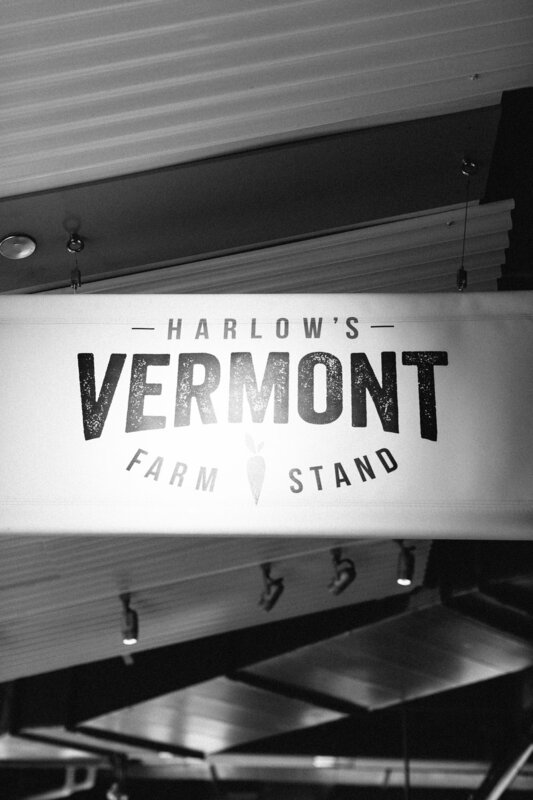 Harlow’s Vermont Farmstand brings Vermont farm products to Boston, including organic produce, eggs, maple syrup, artisanal cheeses, salsas, even kale chips. The third generation family farm grows certified organic vegetables on over 100 acres on the Connecticut River in southeastern Vermont. For breakfast there are shakshuka and bagels, for lunch try the matzo ball soup and falafels. Then take home a knish, a frozen pot pie, and stuffed cabbage for dinner. Inna’s Kitchen at BPM and in Newton prepares Jewish foods from a variety of cultures with local and organic ingredients. 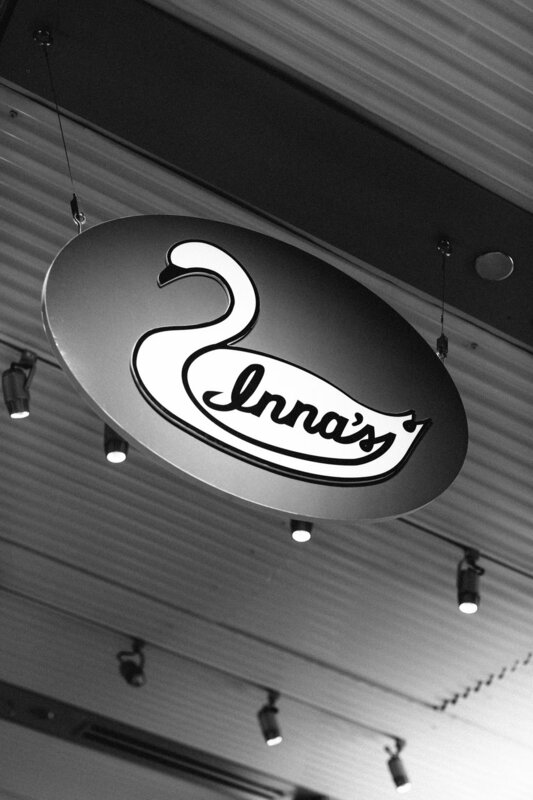 The company’s goal: to preserve the culinary tradition of the owners’ Jewish heritage while making food that is “modern and relevant for today’s health conscious society.” Inna’s Kitchen opened in Newton in 2011, 11 years after the family immigrated to the United States from the former USSR. If you want to take a cooking class or participate in a discussion about local food, The Kitchen is the place to go. The Trustees of Reservations have created a state-of-the-art space for all of these activities. Check out their website for the daily class schedule. Selling seasonal fruit and vegetables, Lakeside Organics sells local farm products directly to institutions helping to provide fresh produce to public schools and hospitals. The Joe Czajkowski Farm originally grew tobacco, potatoes, and cucumbers. Now the farm grows organic produce under the name Lakeside Organics. Sample all of Mangé’s 12 varieties of fruit flavored vinegar, then choose flavors such as blackberry, lemon, fig, or red pepper, to create your own personalized gift box. Made with fresh fruit picked at its peak, then puréed and preserved, the vinegars can be used to enhance the flavor of food or cocktails. The company has been selling its fruit vinegars, created by a French chef, online since 2012. Taste one or buy a glass and sample a rotating flight of locally-grown wines and ciders on sale at Massachusetts Farm Wineries and Growers Association. With wine and cider from 18 participating wineries, the association’s goal is to educate the public on wine from the state and to advocate for the business interests of Massachusetts wine growers and producers. Once you find what you like, you can purchase it on the spot. Hand-pulled Shanghai noodles, edamame, gyoza, and wakame are served every day at the Noodle Lab, a stall that specializes in authentic Japanese ramen. At Noodle Lab there is only one noodle dish offered daily, which could be miso or curry with ramen or udon, pork wonton ginger noodle soup, Vietnamese chicken noodle soup, or pork dumplings. 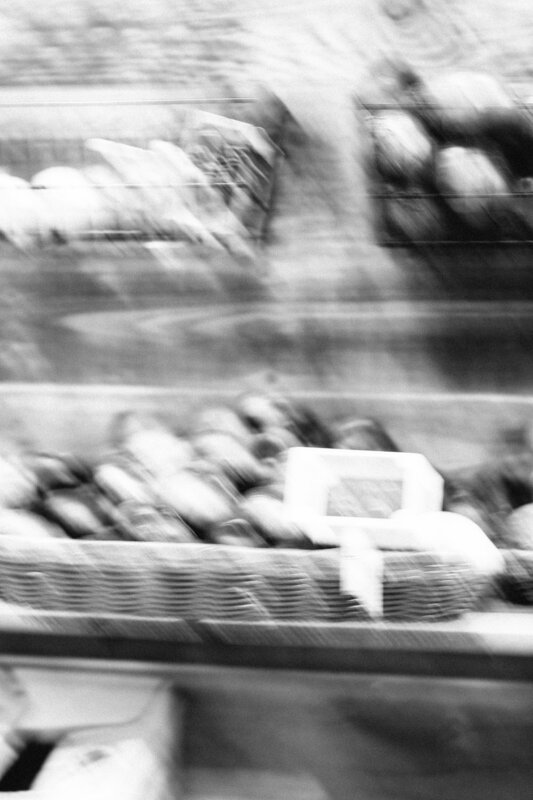 Sprindrift seltzers and Maine Root sodas are available to quench your thirst. To discover today’s noodle option, follow the Noodle Lab on Twitter @bpmnoodlelab. Looking for the perfect gift for yourself or others? Peterman’s Boards and Bowls are made from fallen trees in the woods of Western Massachusetts. Once a Nantucket basket weaver, 15 years ago Spencer Peterman learned how to turn bowls. He now turns logs of cherry, maple, oak, and black walnut into bowls or boards, salad tossers, bottle toppers, and napkin rings. Cut and sanded in Gill, MA, the wood is treated with tung, beeswax, and mineral oil to make them food safe. 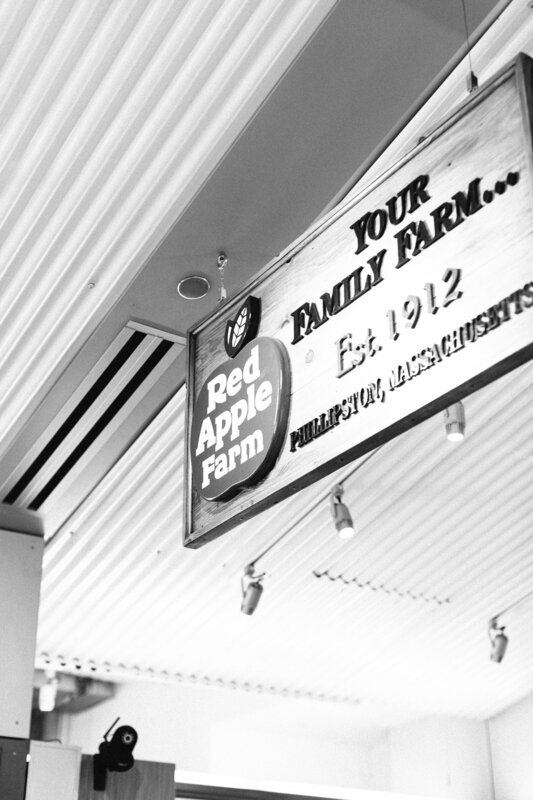 Warm up on a cold day with hot mulled cider and hot apple crisp from Red Apple Farm. The farm sells everything apple, plus homemade fudge, at BPM. Fresh cider doughnuts, caramel apple loaf, cider syrup, apple butter, and apple salsa are all products made with apples from the Phillipston orchard. You can also purchase apple sauce and sparkling cider from Harvard’s Carlson Orchards, and spicy unfiltered apple cider vinegar tonic from Fire Cider, in Pittsfield. The fourth-generation Red Apple Farm is open seasonally for apple picking, hay wagon rides, and other seasonal events. 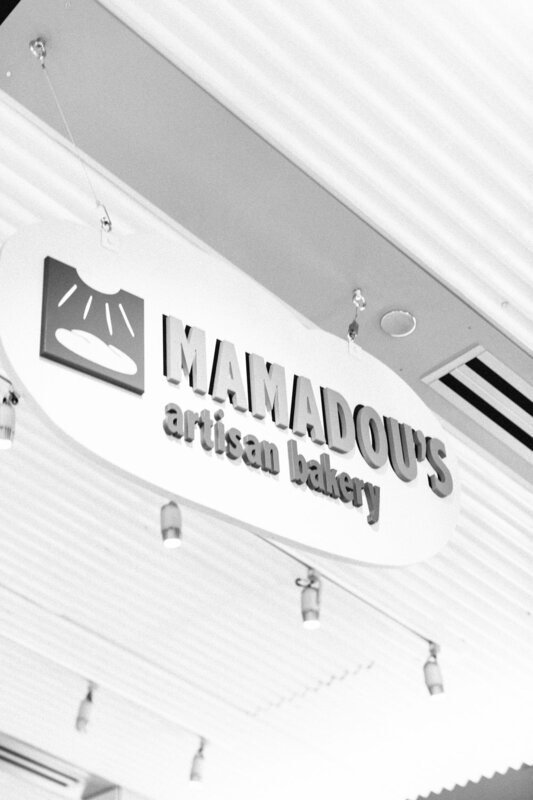 Visit them at BPM for a taste of fall year round. Find seasonal vegetables at Siena Farms, plus several other products curated from all over New England. The farm sells its own pickled and preserved vegetables as well as mesclun mix, mushrooms, root vegetables, and cabbage year-round, flower bouquets from Upton’s Fivefork Farms, nut butters from Watertown’s Fastachi, sriracha from Sunderland’s Kitchen Garden, cider vinegar from Hadley’s Carr’s Ciderhouse, Iggy’s breads, Sofra’s provisions, and several New England cheeses. Using only sustainable agricultural practices on its 75-acre farm in Sudbury and Concord, MA, the farm began growing vegetables in 2005 and now sells its produce to many Boston area restaurants, 750 CSA members, and at its retail location in the South End. Pick up seasonal vegetables and honey, eggs, mustard, jams, and pickles, at Silverbrook Farm. The stand sells cranberry sauce made from local Carver bogs, root vegetables, and apples, as well as the farm’s own micro-greens, available year-round. Silverbrook Farm sustainably grows its produce in Dartmouth, MA. The farm has been owned by the same family since 1953. Where else can you find not just one variety of peppers, but over 20? Not just red radishes but daikons and Easter eggs? Not just red beets, but chioggia and yellow beets, too, all locally grown? Stillman’s Farm is dedicated to growing the finest variety and selection of produce in the Boston area. For over 30 years, the Stillman family has combined traditional and organic practices to produce fruits and vegetables conscientiously grown on their Lunenburg and New Braintree farms. During the winter months, look for cabbages and root vegetables plus freshly ground wheat and whole wheat berries from Whitesfields Farm in Hardwick, and Rita Brown salad dressing. Adorn your house or office with sustainably-grown cut flowers, seasonal centerpieces, and potted succulents from Stow, MA. Specializing in hybrid lilies, Stow Greenhouses grows over 90 varieties of flowers year-round in a one-acre glass greenhouse and outside on a 14-acre farm. Fresh-from-the-garden flowers are used to create natural bouquets and centerpieces by the farm’s own design studio. Visit them at BPM to buy a gift and see what’s blooming today. Need a breakfast pastry, a salty snack, or a sweet dessert? You can find European croissants, sandwiches, pretzels, and linzer cookies, all made without artificial ingredients or additives, at SwissBakers. SwissBakers began baking its European cakes and breads in 1998. 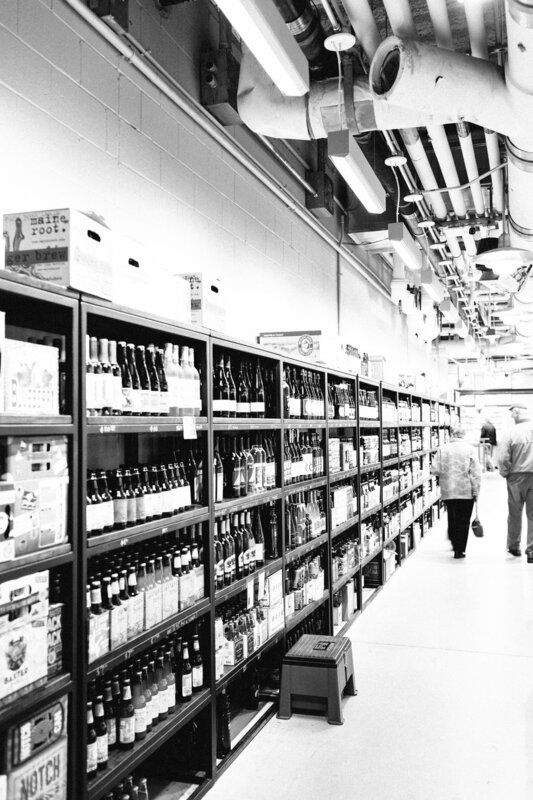 They sell their products at farmers markets, at their store in Allston, and now at BPM. Originally from Northern Europe, the company’s objective is to bring European traditions to America. For a quick breakfast and maybe some nostalgia, grab a maple bacon donut from Union Square Donuts. Using local ingredients including milk from Hadley, MA, and maple syrup from Vermont, Union Square Donuts creates a rich and flavorful pastry dough, more like a brioche. 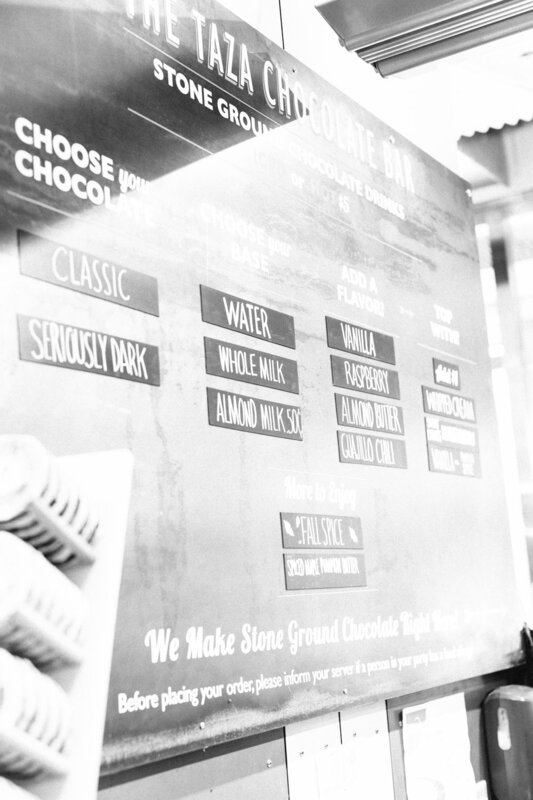 There are flavors like brown butter hazelnut crunch and sea-salted bourbon caramel. There are raised donuts for vegans and baked pizza savory squares made with tomato sauce, cheese, and donut dough. Union Square Donuts opened its door in Somerville in 2013 and now sells its pastry at BPM.